Your opinion matters. Leave A Review Or Edit This Listing for Good Samaritan Outreach Inc.
GSO soup kitchen is open every 1th. 4th .5th Saturday of the month at the Coalition for the homeless. Downtown Orlando men's Pavilion from 11:30 a.m. to 1:30 p.m. Good Samaritan Outreach have been providing for it community since 1998, with two different locations we are 501 c 3 not-for-profit organization reaching the least the last and the lost with hope. We always need more information on our pantries. 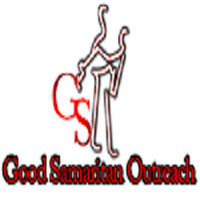 If you know of any details, volunteer information, website, hours or more description information about Good Samaritan Outreach Inc please add a comment (below the map on this page), with information. We will then display this for all visitors on this page.